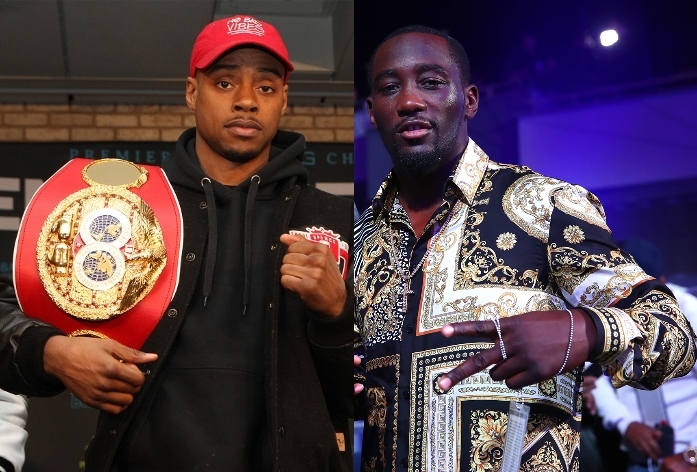 IBF welterweight champion Errol Spence is aiming to wipe out every top name at 147-pounds – and that includes WBO world champion Terence ‘Bud’ Crawford. Spence (24-0, 21 KOs) seeks to successfully defend his IBF belt, tonight, against four division world champion Mikey Garcia (39-0, 30 KOs) at AT&T Stadium in Arlington, Texas. The next bout for Spence, should he beat Garcia, may come against WBC world champion Shawn Porter. Spence believes a showdown with Crawford (34-0, 25 KOs) will have to go down if the two of them continue to win. “If Terence Crawford keeps looking the way he’s looking and I keep looking the way I’m looking, it’s going to have to happen,” Spence said to The Dallas News. “We’re going to have to do it. Spence is affiliated with Premier Boxing Champions, who have content deals with Fox Sports and Showtime. And Crawford has a promotional deal with Top Rank, who have an exclusive deal with ESPN. The two promotional entities rarely come together for co-promotions. But Top Rank’s CEO, Bob Arum, has no problem with working out a deal for that fight, and even staging it at AT&T Stadium. The last time Arum and PBC head honcho Al Haymon came together, was to stage the mega event showdown between Floyd Mayweather Jr. and Manny Pacquiao in May of 2015. The event was the richest in boxing history, and even forced rival networks like HBO and Showtime to come together for a joint pay-per-view event. Spence believes the same scenario could play out in the future, for a fight with Crawford.